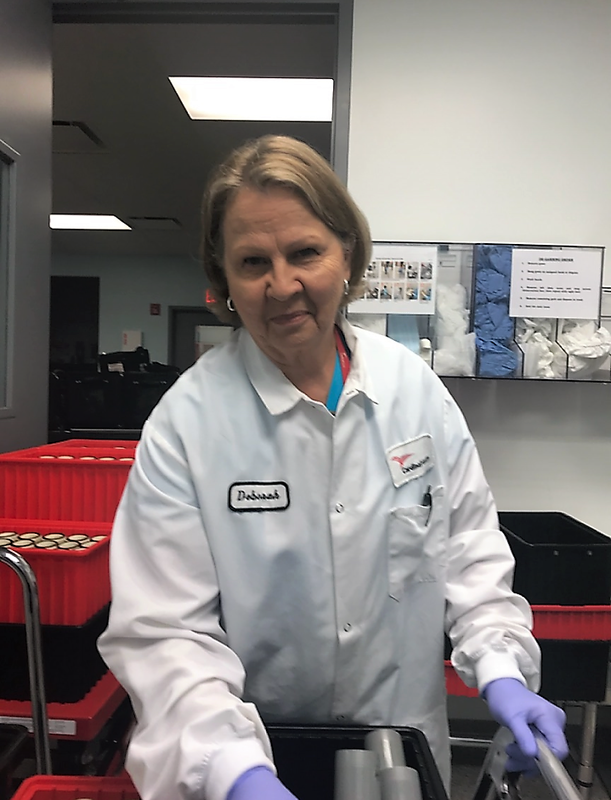 Meet Sallie Blair, Pharm.D, BCNP—she’s a Nuclear Pharmacist working in a specialty area of pharmacy that’s dedicated to the compounding and dispensing of radioactive materials for use in nuclear medicine procedures. 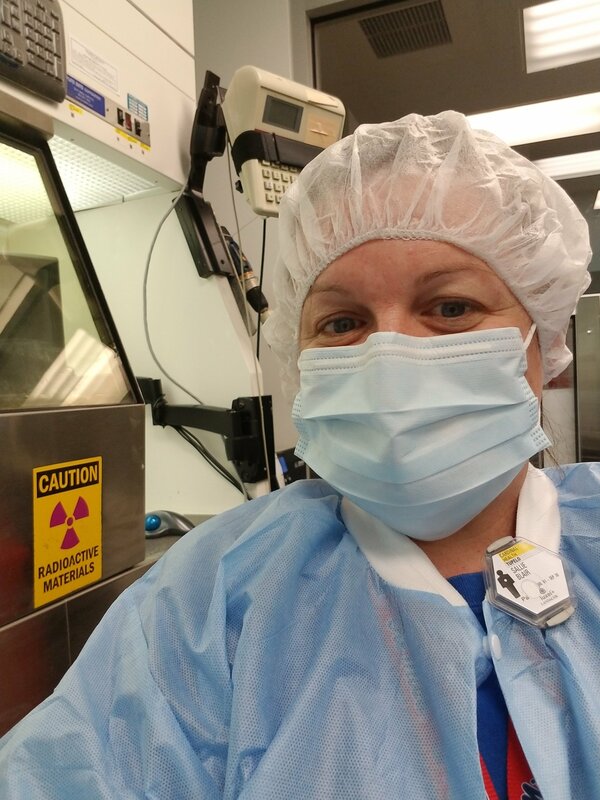 Read how she pursued a career in nuclear pharmacy below! Why did you choose to pursue a pharmacy career over other healthcare professions? When I took several science classes in high school, I became very interested in the field of medicine in general. Then when I learned about how medications affected the body and certain disease states, I knew pharmacy would be a great choice. Pharmacists are the medication specialists! I also found it great how pharmacists can be on the forefront of prevention—we are in a great position to help the other healthcare professions as well as people in the communities. It’s a very hands-on profession that is always evolving so it definitely never gets boring. What is Nuclear Pharmacy and what makes your career path unique? Nuclear pharmacy is a specialty area of the pharmacy practice dedicated to the compounding and dispensing of radioactive materials for use in nuclear medicine procedures. When you look at a Nuclear Pharmacy, its operation is not completely different than that of a traditional pharmacy—a “prescription” for a particular product is presented, and the nuclear pharmacist must prepare and dispense that “prescription.” Where a traditional pharmacist will dispense doses in weight units like mg (milligrams), a nuclear pharmacist will dispense in mCi (milliCurie) radioactivity units. Most traditional pharmacists dispense tablets and capsules, a nuclear pharmacist dispenses the radioactive material in liquid (injectable syringes) or capsule form. Where a traditional pharmacist will generally dispense the prescription directly to the patient, the nuclear pharmacist will dispense to a hospital or clinic nuclear medicine department where the dose will be administered to the patient. We work closely with the nuclear medicine staff and contribute a tremendous amount to the provision of care for the patients who are undergoing nuclear medicine procedures. We provide vital medication information just like in traditional practice. In order to practice Nuclear Pharmacy, additional training is required. You must become an Authorized User of radiopharmaceuticals. This training requires a minimum of 500 practice hours under an approved preceptor in a nuclear pharmacy and 250 classroom based hours. Nuclear pharmacy is also the first approved Board Specialty by APhA. Becoming Board Certified is an option by examination after you have been practicing a while. Another thing that makes us a little different is our hours of operation. We are open from 1:30 am til 3:45 pm, Monday-Friday. It differs in each location depending on customer base and distance from the pharmacy, but most are very similar. We take call outs for emergency scans on weekends and holidays, but are not open. The distance from the pharmacy matters, because our doses are actually delivered daily to the customer (clinic or hospital) by our trained drivers. We also pick up used material and waste to be disposed due to lingering radioactivity. Is working in Nuclear Pharmacy dangerous? In order to provide protection while handling radioactive material, most compounding and dispensing is done behind leaded glass shielding and using leaded glass syringe shields and lead containers to hold the radioactive material. Lead is an excellent shielding material that serves to protect us from the radioactive emissions from our products. Nuclear pharmacists work with various amounts of radioactive material on a day-to-day basis, but by using simple techniques, the amount of radiation exposure to the nuclear pharmacist is very low. There is intensive training in radiation safety initially then yearly to all personnel. How did you first discover it as a career option? I actually found Nuclear Pharmacy as an accident! There was one nuclear rotation offered when I was in pharmacy school, but it was in a geographical location that was not optimal for me. We didn’t learn anything about it in school really, so I wasn’t interested enough to seek it out either. I was practicing in a retail pharmacy when a local nuclear pharmacist came in to fill a prescription. [Laughs] He didn’t know the difference between his medical and pharmacy card, so I immediately was curious about his practice! Dealing with insurance companies day in and day out is a thorn in the side of a retail pharmacist. I came in to observe their practice one early morning and was hooked! When a job became available, I applied, began the approximate 6 month training, and eventually became board certified. Wow. That’s a hard one. It’s challenging (in a good way) and constantly changing, especially with all of the new federal sterile compounding guidelines. There are always new treatments and diagnostic agents in development. Radiology practices and imaging is just amazing in general. I also love having pharmacy students on rotation. It’s great teaching them something new and exciting each day. A great day for me is making a difference in someone’s life—whether it’s treating someone suffering with symptoms of overactive thyroid or bone pain from cancer or diagnosing infection or heart disease. I also love seeing that spark of interest in a student during rotation or a tour. It’s even better when that student becomes licensed and completes Authorized User training then actually becomes your colleague. I have had this happen the times so far in Nuclear Pharmacy. I have cried tears of pride and joy each time. Well, multiple people actually told me that you can do anything that you set your mind to. Even if it’s difficult or seems impossible, just set your goal and stay steady. Make a difference, go the extra mile. It’s always worth it. As far as Nuclear Pharmacy is concerned, don’t be afraid to try something new. Be a go-getter and develop new ideas. You can do it! Sometimes, we have to do things (like compound investigational drugs) with only slight directions (no real hands-on instruction) and learn new processes on the fly—you can’t be scared to try. This is when you also rely on your colleagues to share experience and insight.